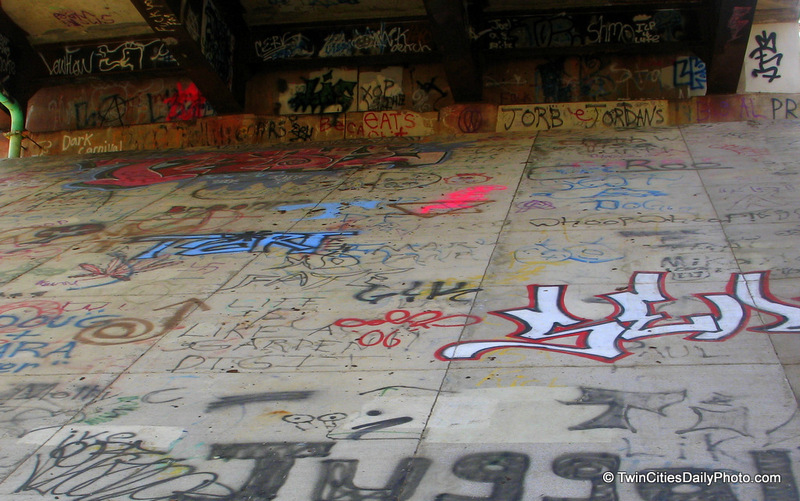 Greetings to the City Daily Photo community as you make your way around the Graffiti theme day photos for October. It's amazing what you'll find under a a bridge in an area that doesn't get much traffic. All that you can find under this bridge is a small stream and a walking path. It's quite an attraction for the local graffiti artist and vandals. I've always wondered how they get way up there! Happy Theme Day - great post for "graffiti"
Nice find. I'm surprised there was only graffiti, a stream and a path.